A grand-scale strategy game developed by British studio Creative Assembly. Total War: Rome II lets players become leaders of the nations of antiquity from the Roman Empire period and struggle for dominance over new territories. Like the past Total War games (e.g. “Total War: Rome II” is another installment of a popular real-time strategy series “Total War”. The game was developed by British studio Creative Assembly responsible for the previous parts (i.e. “Shogun”, “Medieval” or “Empire”) and several other titles (“Viking: Battle for Asgard”, “Stormrise”). After the Napoleonic Wars and an attempt to unite feudal Japan, the series takes players back to the ancient Rome. In “Total War: Rome II” the players become a leader of the Roman state (or any other country), who fights for power and territorial dominance. In an open turn-based campaign players can define the style of governance and conquer other provinces to develop their own land. The historical period covers ages, starting with the establishment of the Roman Republic. As the game progresses, the players can decide whether to defend the republic or change Rome into an empire. During that difficult period wise leader expects to be attacked by anybody, including friends. The players have to beware any betrayal as the gameplay stresses the relationship between influential persons. The strategy map is divided into hundreds of regions grouped into larger provinces. Each region must be conquered separately, but the management is province-scale. Therefore, the players do not waste time dealing with too many details, but can focus on the area and their armies. In addition to the option of commanding your armies using the strategic map, players can lead their troops to real-time battles involving even tens of thousands of soldiers. The battles include presence of soldiers and fleet. This feature offers interesting tactical possibilities, e.g. ships with catapults can protect soldiers landing on the beach. The start of a battle depends on the circumstances, such as already mentioned landing. Although the option for locating troops in the field has not disappeared, the creators decided to be more flexible. The game offers various siege weapons – catapults, ballistae, siege towers, battering rams and others. To simplify the process of commanding, a new camera mode is available. At any time players can zoom out and observe the battlefield from above, while the units are presented as simplified icons. Due to the size of the city, its conquer is not limited to holding the central square for a few minutes. Fights take place in different districts and taking control of a metropolis requires achieving some dynamically presented goals. “Total War: Rome II” runs upgraded Warscape engine presenting even the smallest details of clashes. The game enables putting the camera over the shoulder of individual soldiers and changing the perspective to third-person, while the picture sometimes may shake as during a good action movie. The developers focused on presenting details of single characters – each has its own skeleton animation and facial expressions. Duels between warriors reflect authentic ancient fighting techniques – the soldiers stab, parry or attack the enemies with their shields. Cutscenes presented before significant battles were created using the game engine and you can watch the generals speak to their soldiers. The environment is presented with great details – each city represents specific architecture style, the walls are covered with paintings, the buildings are crumbling under the attack of catapults, smoke disperses sunlight and the soldiers’ equipment gets destroyed or covered with dirt. Conquered cities change their appearance on the strategic map – zoom in to notice ruined buildings and vultures circling above the corpses. The game brings back a multiplayer mode enabling players to engage into single battles or run entire campaigns. Game score 8.555 / 10 calculated out of 3188 players' votes. Expectations before the premiere: 9.6 / 10 calculated out of 2794 players' votes. 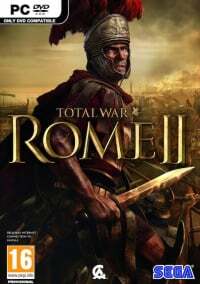 The Total War: Rome II guide is mainly intended for beginners, especially for those players, who play the Total War strategic games series for the first time. But more experienced generals also will find some interesting information here.